How’s amazing to celebrate the day you come to this world with warm anniversary on our cruise with a nice Birthday Cake, light party with fruits, a bottle of wine with your new friends. All is for FREE for YOUR DAY. 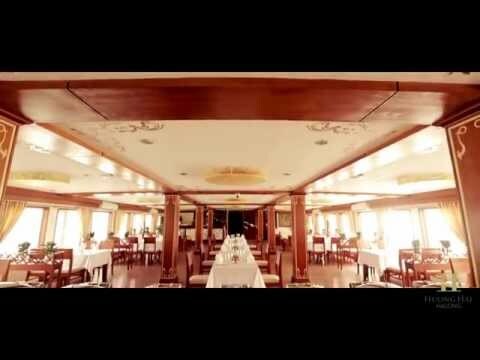 You’ll really enjoy romantic lifetime on Huong Hai Sealife Cruise Halong bay with your partner. You’ll feel like all everything is set up just for you – the happiest couple: Bed room set up in Honeymoon style, a basket of fresh fruits in the room & bunch of flowers on your bed. Enjoy your own time sipping Red Wine in the candle light. You will have most memorable time with us. It’s great to have feelings like your honeymoon again when cruising on Huong Hai Sealife Halong Cruise and have romantic time with us on your Wedding Anniversary. Your cabin is decorating with flowers, wine & fruits so you can enjoy private time together absolutely. You can give it a surprise to your life partner. Saving your moments with us like our wishes of your happiness forever. If you have any ideas for your own special events (wedding, class meeting, incentive...), please contact us. We will serve at your own pleasure in a different way. All is in your hands.